A young man who spoke from his heart about the ongoing dispute between the Government and the Congregational Christian Church of Samoa (C.C.C.S.) 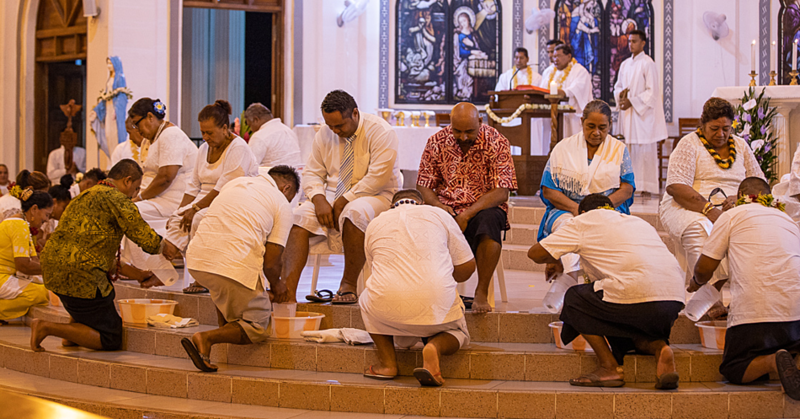 over the taxing of alofa (love offering for pastors) is a winner. 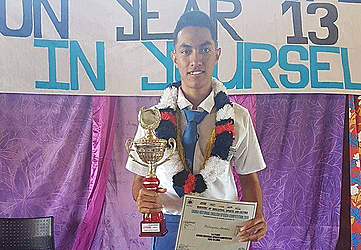 Melchizedek Rivileti Sanerivi, of Alofi-o-Taoa College, won the annual Savai’i Year 13 - English Speech Competition. 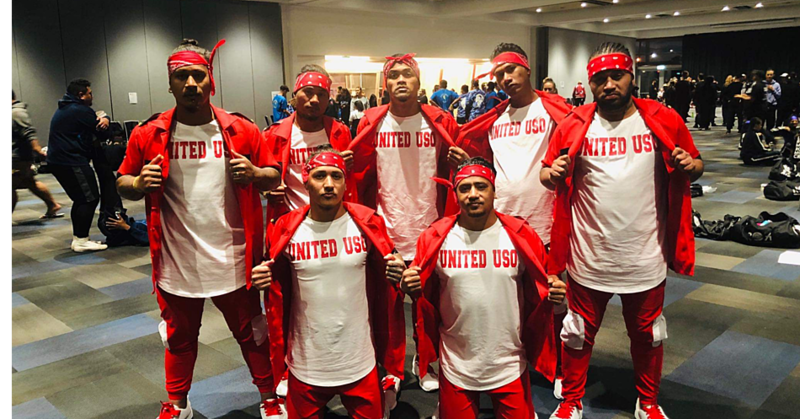 Held at Itu-Asau College, he overcome tough competition from 12 colleges on the big island including Tuasivi College, Palauli College, Amoa College, Itu-Asau College, Itu-o-Tane College, Palauli Sisifo College, Don Bosco College, Savaii Sisifo College, Uesiliana College, Vaiola College and Mata-ae-vave College. Melchizedek was delighted about winning, acknowledging God first; his English teachers, School Principal, siblings and his parents. “The topic of my speech was ‘Should Pastors earnings be taxed?’ which I did not support it,” he said. Away from the topic being of a controversial nature, Melchizedek had other challenges. “I was trying to memorize my entire speech and the thought of standing before a crowd of people. But then like they say, practice makes perfect and I kept practicing in front of my parents and siblings. 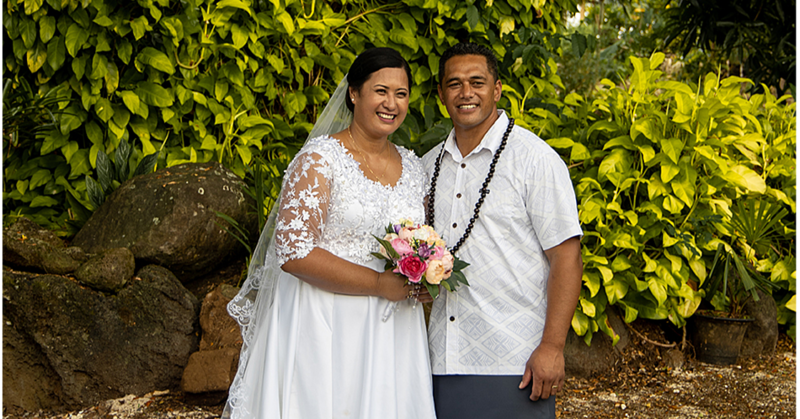 The event was organized by Principal Fetuao Elu-Tamala and her administrator Gasetoto Burgess. The judges included Terry Faiga from Samoa Stationery and Books (S.S.A.B.) in Salelologa, Siaosi Leleimalefaga and Samasoni Moala. Sponsors were Signs Studio, Bargain Wholesale, Pia Media, Bussiness Systems Limited, S.S.A.B., Masoe Luafi and Faletua, Bluebird Lumber and Hardware, Amituanai Malolo Roma, Lady Samoa Transport, Makereta Tufuga, and Vaisala Hotel. A representative from Bargain Wholesale, Jesse Shi, stated that sponsoring the event is part of giving back to the people of Samoa and contributing to its growth and development.